This time last year I was busy making Valentines for all of Anna and Abigail’s classmates. I wanted them to know that I cared and that we were all in this together. 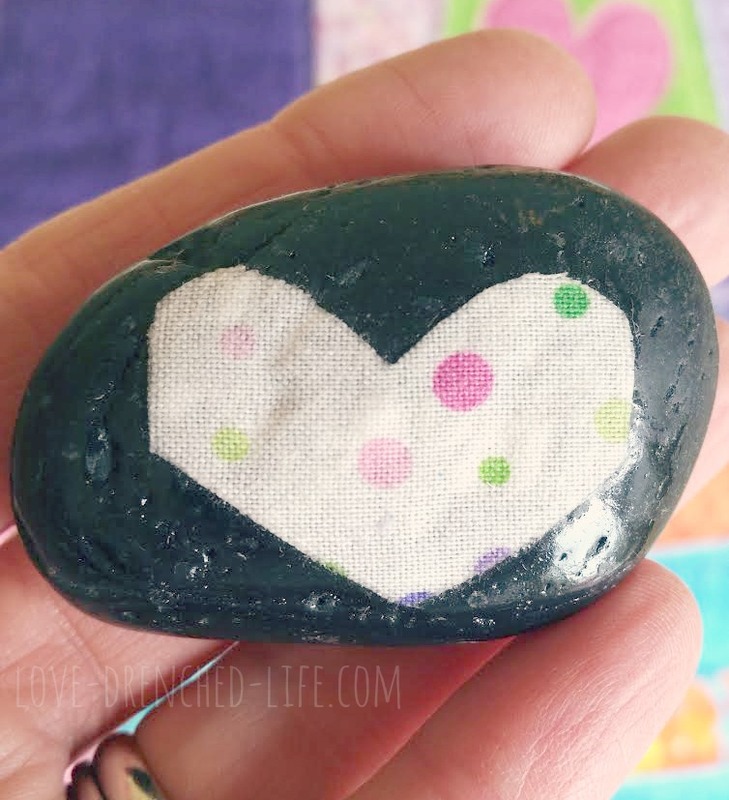 I sat at our kitchen table with a small bottle of mod podge, a 100 small black rocks from Dollar Tree and a bunch of little hearts I cut out of polka dot fabric that was used during Anna and Abigail’s Memorial Service. My girls loved polka dots. These rocks had special meaning because they were similar to the ones that Anna and Abigail made when Tom and I got married. I was hoping that their friends would feel the same comfort and love that I felt when holding the rocks from our wedding. I didn’t have much going on at the time, writing everyday was priority along with getting out of bed and making sure to shower. My heart hurt the same as it does today. I sat, paint brush in one hand and rock in the other, and made my Valentines for their friends. With each one came a memory of a playdate request, a conversation about friendship, a glimpse of a love note passed, giggles from upstairs, images of dance parties around the house ~ each one came with a memory of my girls and their friendships. I remember going into their classes and placing one on each desk sharing where I got the idea, “it was something we did together.” I know they felt the significance of the gesture and I know that they knew how much this gesture of love meant to their friend’s mom. I knew that they felt my love for them and the love of my girls. They didn’t have to tell me with their words ~ they showed me by holding their rock tight in their palm and close to their heart. That day, I just wanted Anna and Abigail’s friends to know they were loved, from me and from my girls. The class totally felt your love and cherished their rocks! Mine still sits with the plant that you have me, from you and Abby for my birthday! I smile at it frequently! Love you! Thank you for sharing your love with the world! Love you too!! I love that you were Abigail’s teacher and now my dear friend!